The landmark Supreme Court (SC) judgment on Aadhaar on Wednesday has brought cheer to employers and employees on the provident fund (PF) front as it clearly states "benefits earned by an individual" cannot be covered under Section 7 of the Aadhaar Act. This means the government cannot make linking of an employee's PF account to his Aadhaar number mandatory, or put the responsibility of validating an employee's Aadhaar details with his PF account information on employers. "We also make it clear that a benefit which is earned by an individual (e.g. pension by a government employee) cannot be covered under Section 7 of the Act, as it is the right of the individual to receive such benefit," says the SC verdict in paragraph 322. The SC's wording in its order implies that PF cannot be taken as a subsidy or a welfare scheme and therefore making its linkage to Aadhaar would now be unconstitutional. "Another facet which needs examination at this stage is the meaning that is to be assigned to the expression 'benefits' occurring in Section 7 of the Aadhaar Act, along with 'subsidies' and 'services'. 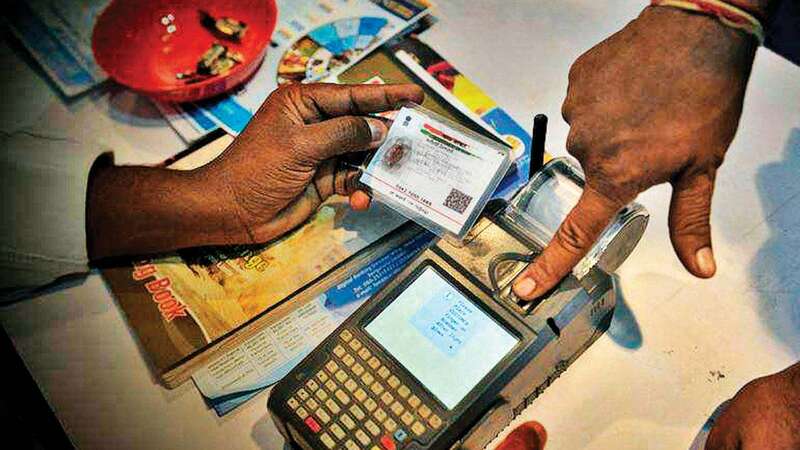 It was argued that the expression 'benefits' is very lose and wide, and the respondents (government) may attempt to bring within its sweep any and every kind of governmental activity in the name of welfare of communities, which would result in making the requirement of Aadhaar virtually mandatory," says the apex court verdict. Rahul Narayan, an SC advocate, said the government will no longer be able to add services to the Aadhaar list in an ad hoc manner. He said as per the SC's order primarily only services which receive money from the Consolidated Fund of India can be mandated linkage to Aadhaar. "They (government) have limited scope of subsidies under Section 7 of the Act. Therefore, the government can no longer keep adding to the list (of services) wherever they want through its notifications unless there is money coming out of the Consolidated Fund of India. And this is not the case with PF," he said. The Wednesday's Aadhaar judgment very specifically states: "no doubt, the government cannot take umbrage under the aforesaid provision to enlarge the scope of subsidies, services and benefits. 'Benefits' should be such which are in the nature of welfare schemes for which resources are to be drawn from the Consolidated Fund of India". The central government was reportedly aggressively planning to link details of employees with Aadhaar for a more efficient collection of data on jobs and to improve delivery of services related to pensions, employees' provident fund and insurance for workers before the next year's general election. Narayan said any ambition of the government to link all PF numbers with Aadhaar will now require amendment of the PF law. "As the law stands now, there is no requirement for it (Aadhaar linkage to PF). If the government wants to still go ahead with its plans, they have to amend the PF Act but that has many challenges," he said. Rituparna Chakraborty, president, Indian Staffing Federation (ISF), saw the SC's ruling as the major relief for both employers and employees. For over a year now, she had been grappling with Aadhaar-related challenges since the Employees' Provident Fund Organization (EPFO) made it compulsory for employers to upload Aadhaar details of employees to generate Universal Account Number (UAN). Chakraborty said she struggled to generate the UAN in many cases due to discrepancies between the employee's information and Aadhaar details. As a result, she was unable to remit PF into the employee's account and was slapped with several penalty notices. "The employers may not be mandated to collect the (employee) data. It (data) may be a requirement but employers may not be mandated to ensure the validation of Aadhaar details. There was an obligation sitting on employers' shoulders, where legally they could be penalized. I believe that may undergo a change now. Many employers were getting penalty notices on account of not being able to generate UAN for their employees. This may change now," she said. ISF chief, however, said she had still not received any notification of PF being withdrawn from the list of Aadhaar services. "I am expecting that the EPFO will come out with a notification explicitly stating that Aadhaar linkage is not required for PF. Right now, no such notification has been issued," she said. Narayan said any order from the EPFO demanding Aadhaar linkage would be unconstitutional in the light of the SC judgment. "Now that the SC has said that it (linking Aadhaar to PF) is unconstitutional, they (EPFO) can no longer make those (for Aadhaar) demand or send penalty notifications to anyone. The basis on which they were sending these notifications has been struck down by the court. If the government wants to do that, it will have to pass a new legislation, and that new legislation will be tested on these grounds again. It (linking Aadhaar to PF) no longer can be done under the Aadhaar Act," he emphasized.